Bruce and the E Street Band traveled to Werchter in Belgium to play at the TW Classic in front of a festival crowd of 60,000, their first concert in the country since 2008. The atmosphere was lively due to the beautiful weather and build-up of live bands throughout the afternoon and evening. So by the time Bruce and the band took the stage at quarter to ten, fans were in particularly high spirits. 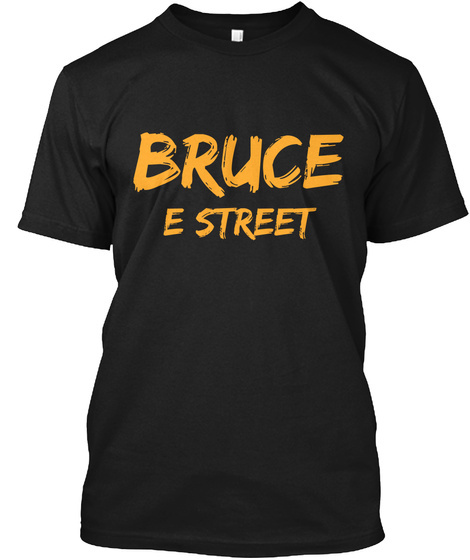 The set kicked off with “Spirit in the Night”: Bruce delayed his entrance and allowed the band to go on first while he preached to the crowd from backstage. Naturally, fans went crazy when he finally emerged. Next we had “Badlands,” getting spirits even higher. When it came time for requests, Bruce chose two signs that were mounted on large stuffed animals: one (on a teddy bear) for a cover of Elvis’ “Jailhouse Rock,” and another (on a duck) for Bruce’s own “Man’s Job.” The first allowed for the horn section to show their stuff, and for Roy to get a rocking solo on the keys, while the second brought vocalist Curtis King downstage for a rare turn in the spotlight. The real highlight of the concert came after these first two requests, when Bruce was joined by Ben Harper (who played earlier in the festival) for “Atlantic City.” Some might have expected this, as the blues-rock singer had covered the Nebraska song recently himself. Harper’s involvement prompted a slower version of the track, on which he and Bruce shared vocals — very powerful. The remainder of the main set of this somewhat abbreviated festival show featured a number of tracks from Wrecking Ball mixed with fan favorites such as “The River,” “Hungry Heart,” and “Waitin’ on a Sunny Day.” Steve and Nils offered some guitar masterclasses with solos in “Youngstown” and “Murder Incorporated. The second major highlight of the show was at the beginning of the encore when Bruce granted a third request, another Elvis Presley cover. This time there was no sign; Bruce explained that a woman had written to him asking for “Follow That Dream,” the Elvis song Bruce had changed a bit and adopted to make his own. She said it was a song she heard when she first saw him perform 25 years ago; incidentally, the song was the first that Bruce had ever played in Belgium, in Brussels on The River tour in 1981, making this moment even more special. The remainder of the encore included songs from the Born to Run and Born in the U.S.A albums before completing the E Street segment with covers of “Twist and Shout” and “Shout” without a break. The fans couldn’t stop dancing until Bruce returned for a final acoustic “Thunder Road.” The mood amongst the Belgian fans as they left was ecstatic; many were clearly blown away by the experience.